The layers in her dress represent all the women who have come before, working hard so that we would have the right to vote. 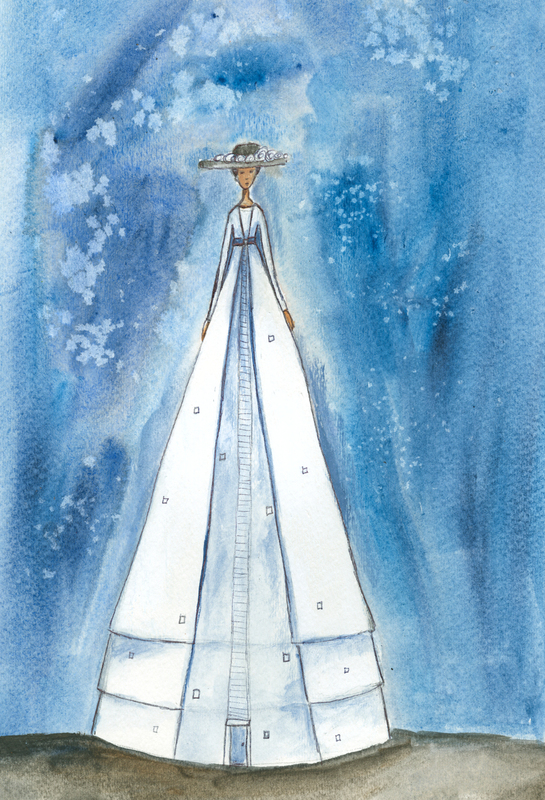 Her dress is also a building, leading up to the glass ceiling. 7.25" x 5"13.25" x 9"22.5" x 15.25"